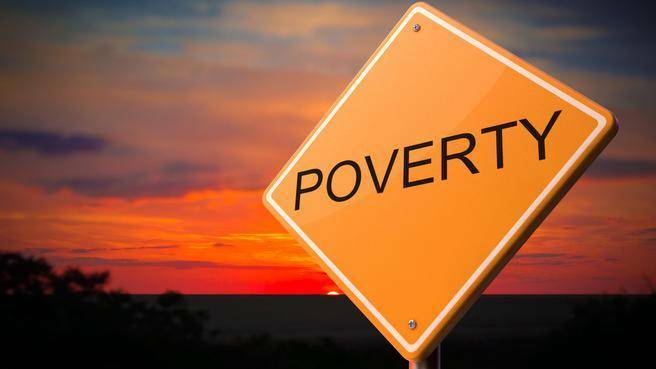 Solidarity Halifax member Ben Sichel argues the province’s plan to revamp education ignores the biggest problem: poverty. Originally published at The Chronicle Herald. Ben is a teacher in Dartmouth and author of the P-12 education section for the Canadian Centre for Policy Alternatives’ Alternative Provincial Budget. Beyond some of the more headline-grabbing elements of Karen Casey’s action plan for overhauling Nova Scotia’s education system, the plan’s title frames its priorities quite clearly. “The 3 R’s: Renew, Refocus, Rebuild” is, according to the education minister, a nod to the classic three R’s of schooling: reading, ’riting and ’rithmetic. Several of the plan’s most clearly laid-out plans are those that involve increased attention to literacy and math, such as the promises to increase focus on these two subject areas in early grades, and increase the number of math credits required in high school. The minister, and the media, had expressed alarm recently at Nova Scotian students’ relatively low scores on standardized reading and math tests. What has been missing, however, is any serious analysis of why test scores have dropped. Increasing the number of hours spent on these two subject areas might seem like a common-sense approach. But it fails to address what is known to be the most important factor affecting test scores: poverty. A recent Canadian Centre for Policy Alternatives report noted that one in six children in Nova Scotia, including a staggering one in three in Cape Breton and one in four in Kentville and New Glasgow, live in poverty. Data from previous tests here and elsewhere consistently show that these children score the lowest on standardized assessments, a fact which should surprise no one. The multiple stressors associated with life in poverty — poor nutrition, less access to quality health care, anxiety caused by economic insecurity — all affect one’s ability to learn. Teachers in high-poverty schools often do great things in enormously difficult conditions, yet are still shamed for their students’ test scores. We should acknowledge that improving these students’ success goes beyond changes to the school system and involves concrete, systemic solutions for addressing poverty and inequality, like higher minimum wages and income assistance payments. The idea of “back-to-basics” education has a simple, nostalgic appeal. But we should be careful when looking at the past through rose-coloured glasses of academic rigour. We tend to forget that in our grandparents’ times, many more people left the school system well before graduation, whereas today all students are expected to finish high school. If we say “the old ways focused on the basics worked just fine,” we need to ask ourselves: worked for whom? Schools today are expected to have a rich, varied curriculum (such as those for which some parents send their children to elite private schools). Increasing schools’ focus on math and literacy while increasing program options, as the action plan suggests it will do, will be a tricky balance. Even trickier is the proposition that the numerous new initiatives in the action plan are apparently intended to be implemented without any additional funding. For example, Casey’s plan will cap Grade 10 and 11 math at 24 students. If no new teachers are hired, however, it follows that classes in other subjects will swell in size. Since classes of 35 students and above are already increasingly common in high schools across the province, this is a matter of concern. Casey’s action plan contains some promising initiatives that could improve student health, well-being and cultural competency, among other things. But without requisite funding, these too will stall. It would be a shame if items not considered academic “basics” end up falling by the wayside while resources are piled into the (traditional) three R’s. The health and success of our education system should not be reduced to media sound bites based on standardized test scores. These “learning snapshots” have gained far too much influence over education policy. If we’re serious about improving our education system, we need to ensure our solutions are truly comprehensive.